With the Monti Bristle Blaster®, you can now enjoy surface cleanliness like never before, without the grit! The Bristle Blaster® is the only one of its kind worldwide, offering a cost-effective and eco-friendly solution to remove rust and corrosion from most any surface thanks to its incredible patented technology. Better yet the Bristle Blaster is the only hand held tool that will achieve a surface cleanliness equivalent to Sa 2 1/2 to Sa 3 with an anchor profile up to 120 micron. Browse our full range of Monti Bristle Blaster® and accessories, and if you have any further questions contact our store today. At Wolfchester, you’ll be sure to find a full range of industrial tool supplies from the biggest names and brands in our online store. We’re proud to be the leading provider of quality automotive and industrial supplies across Australia and worldwide, including the Monti Bristle Blaster®, Bahco tool kits, Multi Grips and much more. We deliver quality customer service with every order placed, with free shipping available on all orders over $200 within Australia. We can ship to virtually any address in the world, for overseas shipping details, please contact our Lilydale office today. 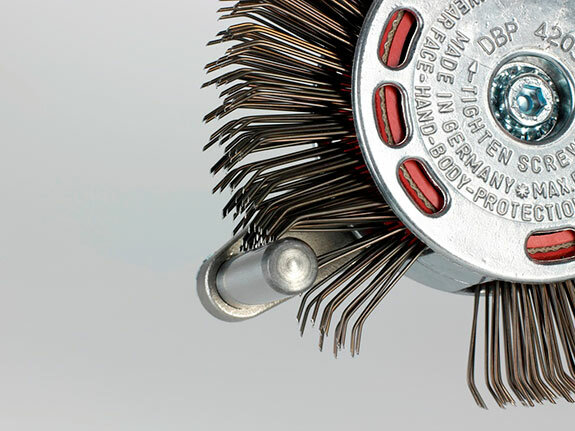 If you have any questions about the Monti Bristle Blaster or any of its accessories, don’t hesitate to contact our team of highly trained experts today. You can also check out the Bristle Blaster Brochure. To get in touch with the Wolfchester team, simply email us at sales@wolfchester.com.au or by calling (03) 9737 2800.